Once again Ottawa played host to the Canadian Nationals during the long weekend in September. it's the end of summer and kids are headed back to school, but it didn't stop 38 players from entering the biggest tournament that this country has to offer. 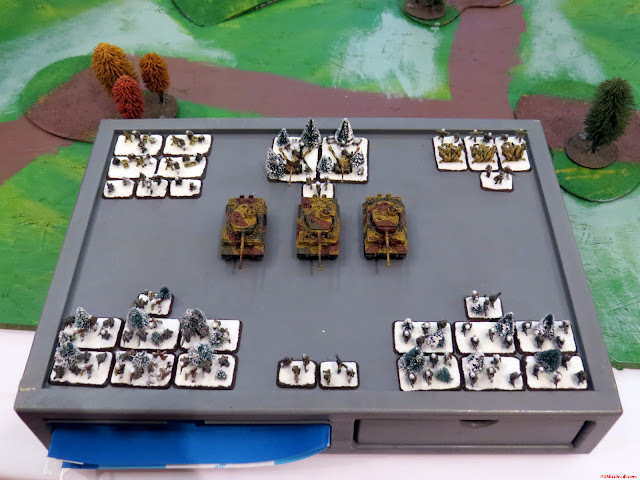 My German Infantry stand at the ready, too bad they slept in on Saturday. This list went 2-5 / 1-6 / 2-5 on day one of the event. It fared better on Sunday going 6-1 / 6-1 / 4-3 after I threw caution to the wind against back to back Tiger lists. 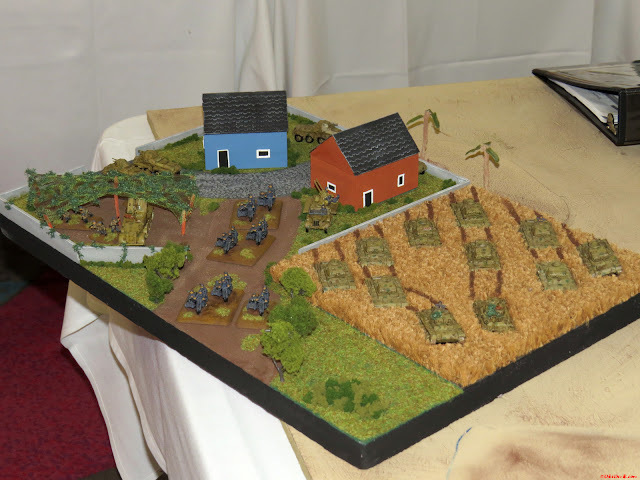 I'll be posting AAR's of all my games in the coming weeks. 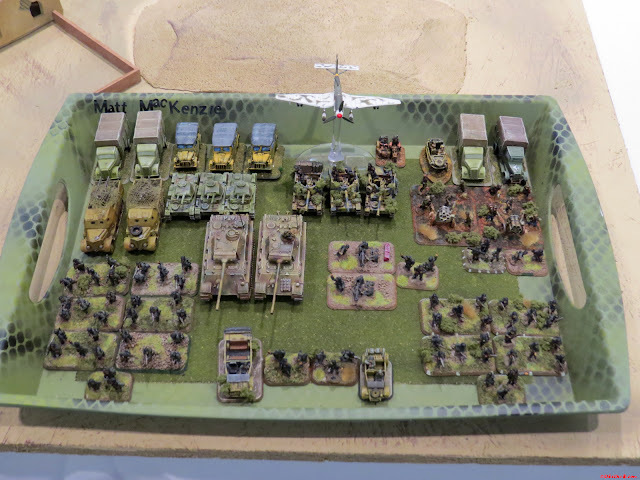 British Armoured Company, complete with Shermans and Crusaders. After close inspection, I think the paint on this army was pretty nice, I think desert armies get overlooked a little too often because of the uniformity and the bland color choices. 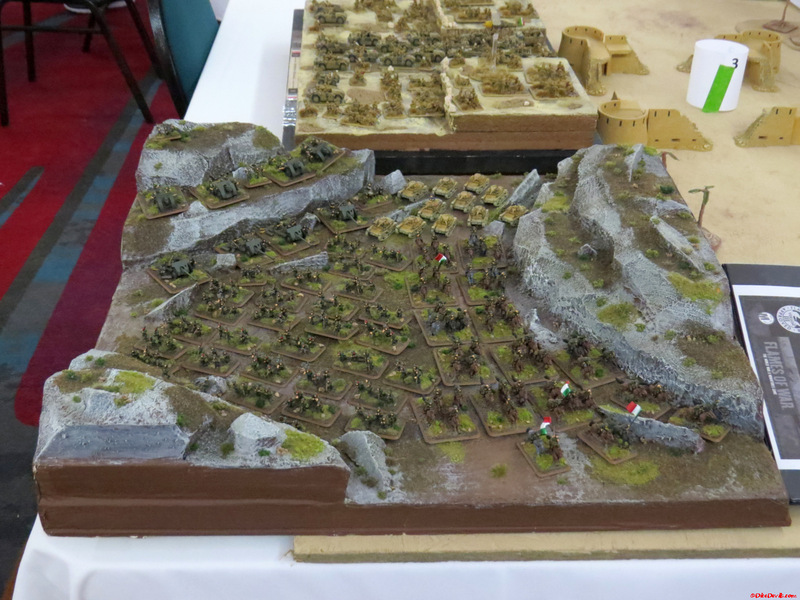 You really have to do more detailing, and this army had it! 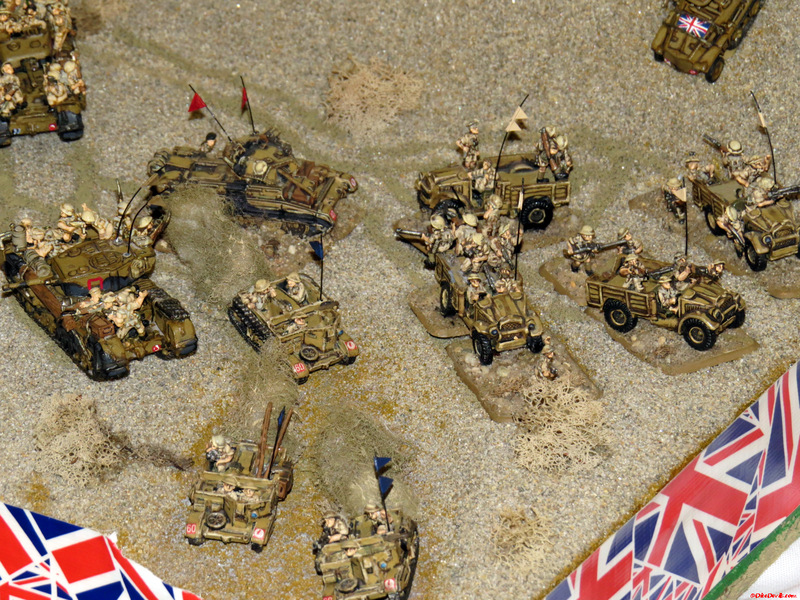 James Huff and his Brits caught my eye even before the first die was thrown. This was an excellent display of painting and it would eventually work out for him. He takes home Best Painted Army for his hard work and a 12th place finish on the scoreboard. Congrats James. 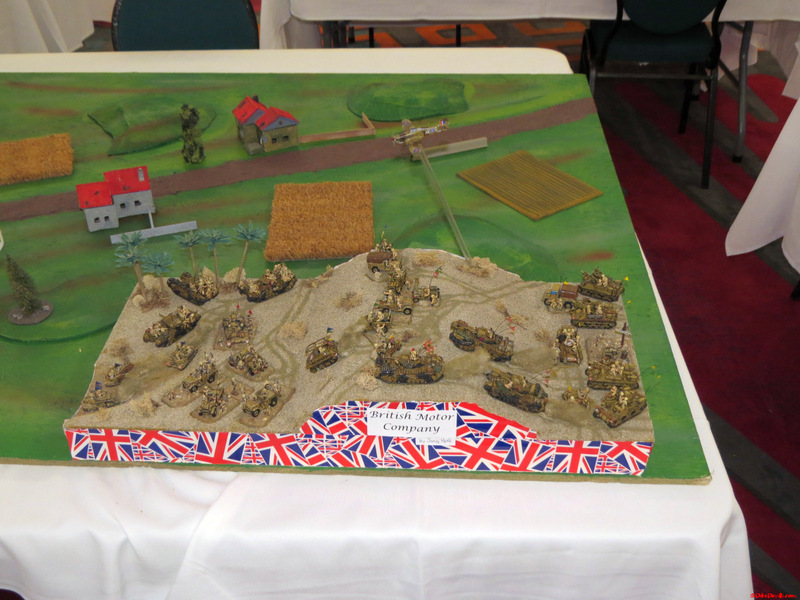 Nicely inked, great flags and other details made this display of painting the clear favorite at this event. 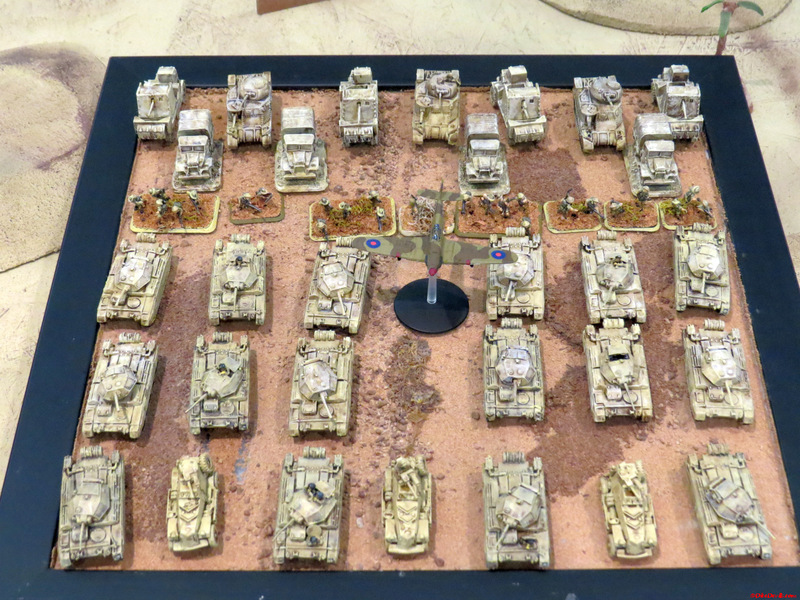 Desert painted, but a lot of contrasts and depth. Again this event was held at the Marriott in downtown Ottawa. Nice hall, guests had nice things to say about the rooms and the pricing. Seriously?? Why didn't you show up to this event, hope to see you next year! Our very own Dennis 'Matt Varnish' Campbell and his Brits. 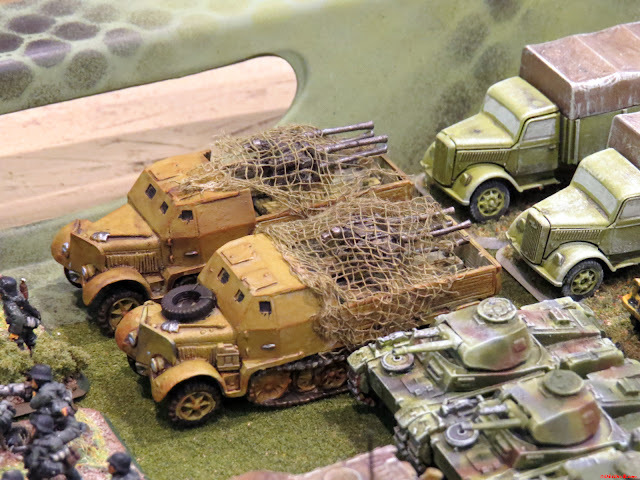 Once again showing off hand painted numbers, vehicle markings and those fine details that make a great painter. Dennis finished in 20th spot with 26 points even. Germans surround this Stuka dive-bomber, ready to inflict it's damage. This army belonged to Christian Caron, and was very nicely painted. 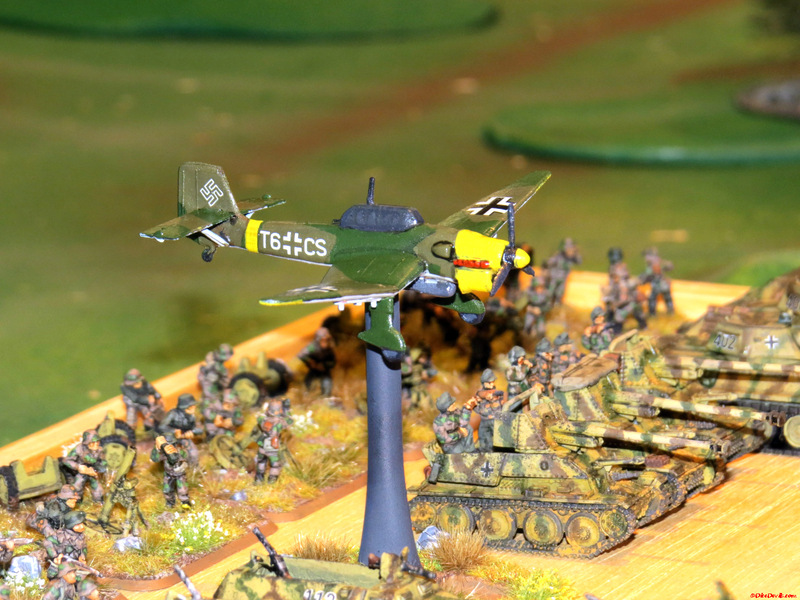 Jesse Sheaffer's Italian Cavalry, the big man steps up again and put some serious time into the list and into the painting of it. All brought together again on a great looking display piece that compliments it nicely. Jesse made no excuses for finishing in a tie for tenth place overall. Let's look at another pic of his Italians. Coming into the final turn....Mussolini's Noose is gaining speed! 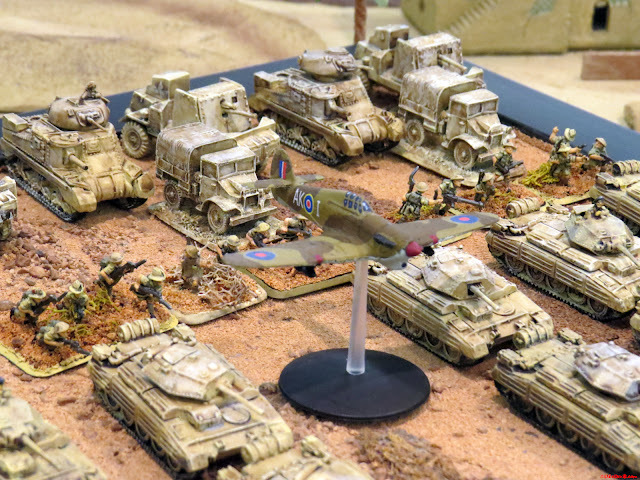 What a cool and different list for Mid-War, I have only ever seen one other cavalry list being played at a tournament, but to take one to a Nationals event and get a top 10!? I guess there was supposed to be snow on the ground in September. Nicely based Germans and a few Tigers get ready for the winter freeze. 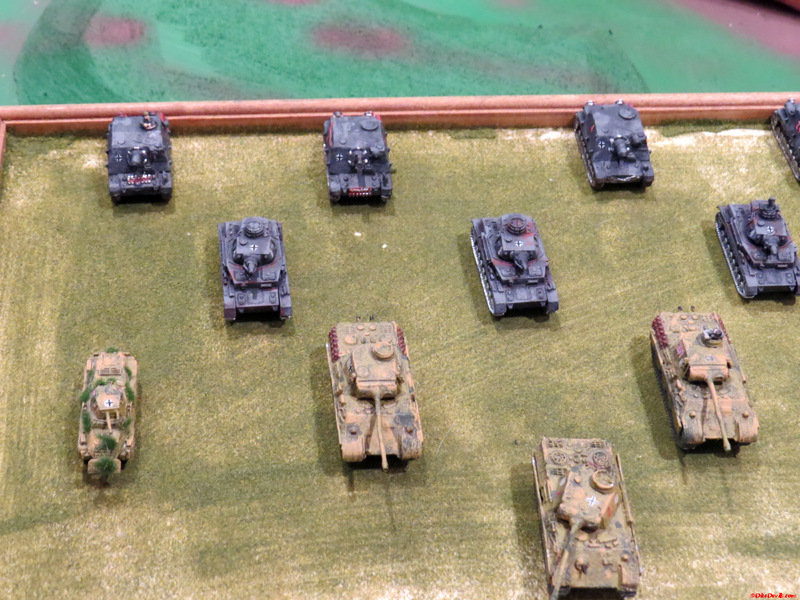 Three Panthers and some recce walk into a bar....stop me if you've heard this one. The only thing they needed was a few more Panzers and Brumbars for support. A recipe for victory as Phil Messier runs the scores up and takes first place overall for his efforts. 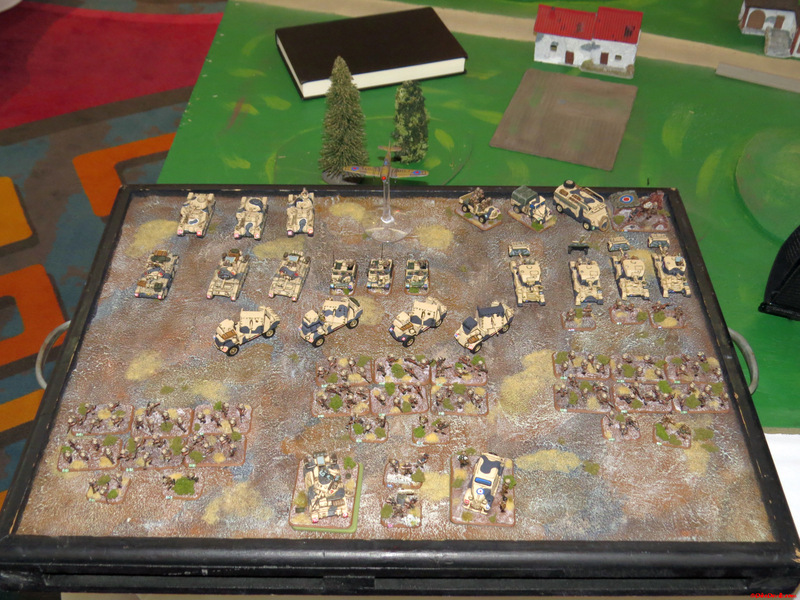 This army I believe belongs to William Shoemaker. There were three of these 'exact' same lists at this event. Phil would later comment to me, that if you make one error with this list during play, you can not recover from it. Maybe that's why he doesn't make too many mistakes and wins a lot of events. Bob McBride of Petawawa, took home second place with Darko Prodanovic third. Congrats on being Canadian Nationals Champion Phil! 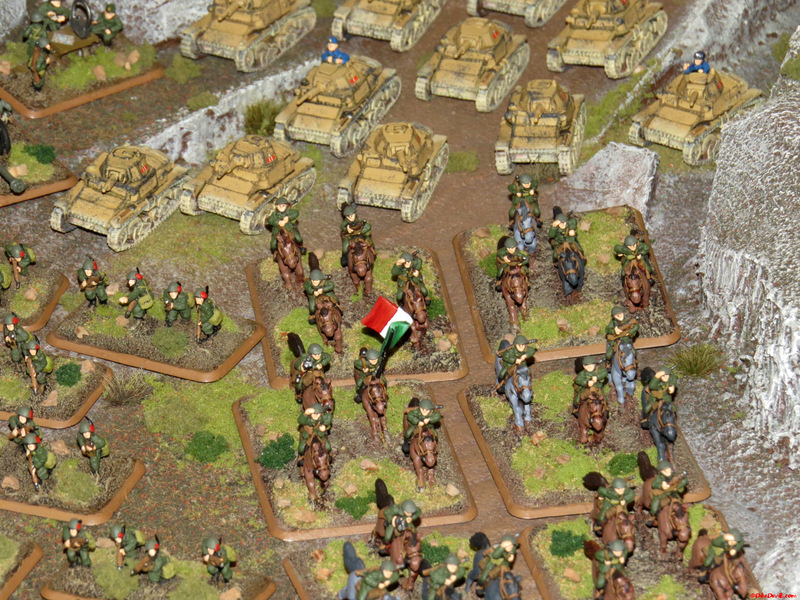 Some nice looking armies for sure! 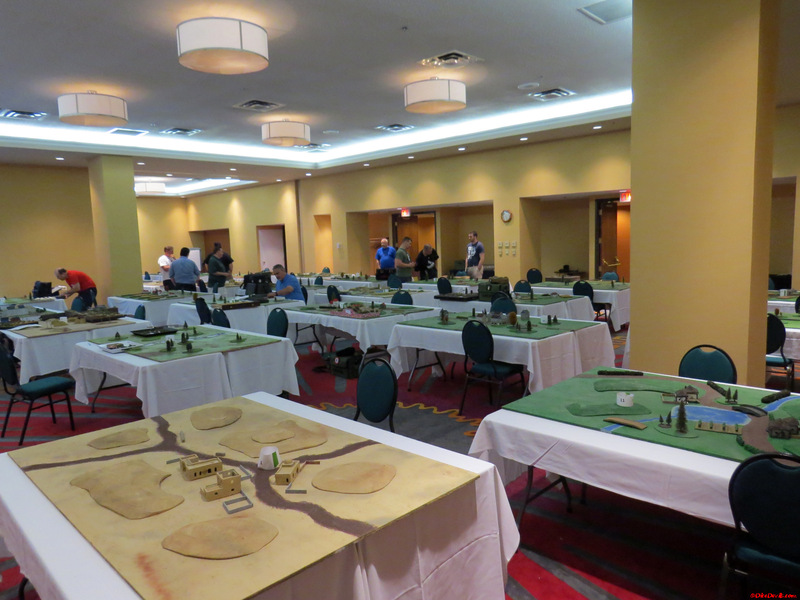 I had a chance to go to a WCP event a few years ago up in Vancouver that had 40 players. Wonder if they're still running FoW events? Haven't heard anything coming from BC at all, I know they have a strong FoW community and there used to be a mini tournament type circuit out that way. 40+ is great in any event, that's for sure. Thanks as always! It was a good weekend. There was a Flames of War tournament in Kamloops this past weekend, at the Attack-X convention. I wasn't able to make it and not sure how many players they drew out. Be interesting to get some of those players into creating a West Coast Nationals. I know it's been talked about and it'd be awesome to have another large tournament in Canada.